adjective - Dialect for very good, tasty, delicious. Whether you join us for a brick-oven pie or a leisurely meal, you are joining our family table. It is a table that celebrates the essence of Italy's cuisine, which features the hillsides of Umbria and the coasts of Sicily. Each plate represents a cherished memory of our family's traditions and the pride of our heritage–that is why we only serve the best and freshest ingredients. Welcome to Bono Trattoria. Beautiful rustic pizza made from scratch in our wood burning oven. Pair a beautiful wine or ice cold draft with one of our dishes and enjoy. 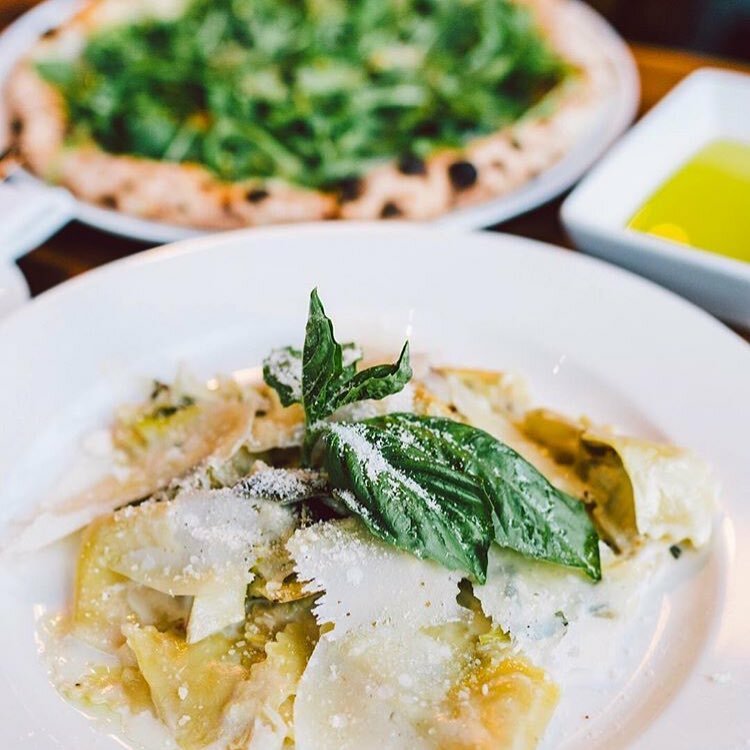 Home-made pasta is always a good choice at Bono Trattoria. Bono Trattoria’s menu honors many of Italy's well-known recipes, while highlighting distinct Umbrian flavors. You'll find that the porcini mushrooms and truffles bring the rich earth of the scenic Tuscan countryside to our pastas, making them irresistibly lush. Hungry for more? Have a slice of Naples with our fired to perfection brick-oven pizza and try our home-made pasta, where you can taste the Sicilian sun in our tomato sauce. For us, food is supposed to bring comfort and good memories. So we keep things simple, use only the best ingredients and serve our food with pride. Magna che è BONO – Eat, because it's delicious. Is a phrase that Nonna Maria Antonietta often said in her Umbrian dialect to her family. It was in her busy kitchen where co-owner Luca Valeriani learned to cook many of the dishes Bono Trattoria serves. So we say bono her way. Our food wouldn’t have the same flavor if we said it any differently. Co-owner Graziella Lo Brutto is inspired by the simplicity of Sicilian food and the people who taught her how to serve it. Her family’s passion for entertaining is truly alla mano - authentic. Each plate, is a symbol of love. Each meal, is a thing of joy. Each moment at the table, is a memory to cherish. As partners, Lo Brutto and Valeriani created a space where they could serve their community the legacy of Nonna Maria Antonietta and their family's heritage. Simple, casual, delicious food served with heart.